Senior Crew is all about having FUN in your Senior year! Senior Crew is a FUN experience in the last half of Junior year all the way to graduation! while having lots of fun with new and old friends! SO.. WHAT DOES IT MEAN TO BE ON SENIOR CREW?! In a nutshell.. it's getting your Senior pictures done, but with LOTS of perks, creativity and fun!! WHAT ARE SOME OF THE PERKS?! - THE JOURNEY BEGINS IN THE MIDDLE OF YOUR JUNIOR YEAR AND LASTS YOUR ENTIRE SENIOR YEAR! - NEW FRIENDSHIPS WITH SENIOR CREW MEMBERS FROM OTHER AREA SCHOOLS! I have past members that have attended the same school but never realized their best friend was actually walking the same hallway and some from schools 2 hours away from each other that formed such a tight friendship that they still drive over 2 hours to meet up for shopping and sleepovers, and others that even went into the same sororities in college! - SEVERAL PHOTO SHOOTS THROUGHOUT THE YEAR! -The year kicks off with Mini-Sessions to announce you to the world on social media! -Next is the one that EVERYBODY loves- a HUGE themed group shoot in the Summer that's kept SECRET until we shoot it- this is the one that everyone gets excited about! I started this a few years ago and still get asked all the time what the next one will be! We've done The 60's, the Decades of Rock & Roll and Planes, Trains & Automobiles so far... I can't wait to share what this year's will be!! I always seem to have a TON of ideas rolling around in my head! -Throughout the year, we'll do several fun shoots! So far, we've done shoots at Halloween and Christmas, played with cool, messy colored powder, stripped away the makeup and kept it Raw & Real, kicked off football season with Tailgates & Touchdowns, and several others just for fun! -We'll end your Senior year with the yearly "Cap'n Gown & Where Ya Goin' Shoot" to show everyone that you're graduating and where you're headed in the future! - YOUR OWN CUSTOMIZED, PERSONAL SENIOR PHOTO SHOOT! Special additions to your session that are YOURS! Let's get creative and make your Senior shoot different and unique to you! - A MOBILE PHONE APP OF YOUR PICTURES! When we do group and personal shoots, you get the 'social share' images added to your own mobile app so you can share them online! But don't worry... you get to choose what and when YOU want! Your social media is YOURS- you're not required to constantly post advertisements for KNP- that's my job! - AN EXCLUSIVE DISCOUNT ON YOUR SENIOR PORTRAIT ORDER! Your parents will love this one! You get to have all the fun on the shoots while parents save money on the products they already want of Senior portraits! - KNP SENIOR CREW T-SHIRT! - AN AMAZING YEAR-LONG EXPERIENCE THAT YOU'LL NEVER FORGET AND WISH YOU COULD REPEAT! This program is not just about making great pictures- that's a given.. it's about being a part of a year-long journey that will be one of the most fun and rewarding things you'll do in your Senior year! Trust me.. you'll love it! YOU'LL LEARN ABOUT THEM ALL AT THE INFO MEETING! WHO CAN BE A SENIOR CREW MEMBER?! lives in North Alabama or Southern Tennessee! is personable, genuine, friendly, and outgoing! likes to give and serve your community! likes having their picture taken! wants to make new friends! 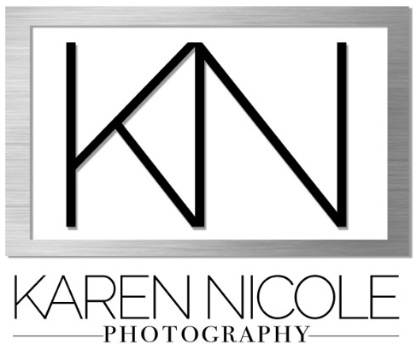 wants their Senior pictures created by Karen Nicole Photography! would be happy to represent KNP! wants to be a positive influence! is excited about being a Senior! wants to be part of something extraordinary and fun to get a ton of awesome pictures to remember the BEST year of high school!! Do these sound like you? Then you have to apply!! - Must be personable and genuine... basically, someone that people love to be around. - Must attend the Info Meeting with a parent/guardian. - Must pay a session reservation fee for your personal Senior portrait session which includes the time involved in planning and shooting the custom, individual Senior session. The session retainer fee does not include full resolution digitals, prints, or products. There are no minimum product order amounts. There are different levels of Crew participation, individual Senior sessions and payment arrangements available. Each will be discussed in length at the Crew Info Meeting. WHAT HAPPENS AT THE INFO MEETING? - We get to meet each other in person! - You'll get to ask questions so you and your parents can make an informed decision. - You'll have the opportunity to sign on as a Crew Member immediately or you can take time to think about it before signing on, but there is absolutely no obligation or pressure! Applications will be accepted from January 18 to February 4, 2019. TELL YOUR FRIENDS TO CHECK IT OUT AND DO IT WITH YOU!